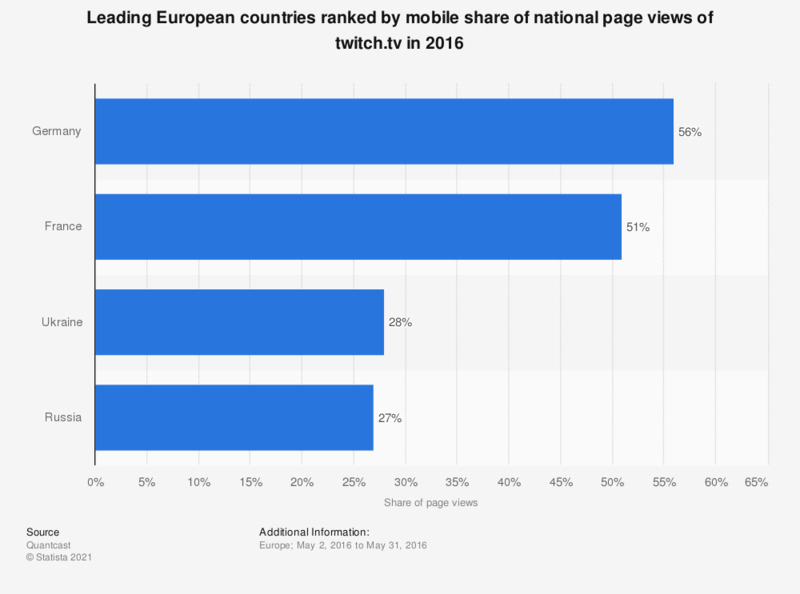 This statistic displays the leading European countries ranked by mobile share of national page views of twitch.tv. In 2016, it was found that page views from mobile browsers accounted for 56 percent of all page views from Germany. The source adds the following information: "Mobile web traffic is measured from web browsers on mobile devices, but not mobile applications. The Mobile Web ranking only includes sites that participate in the Quantcast Measurement program and have their traffic directly measured via a Quantcast tag."